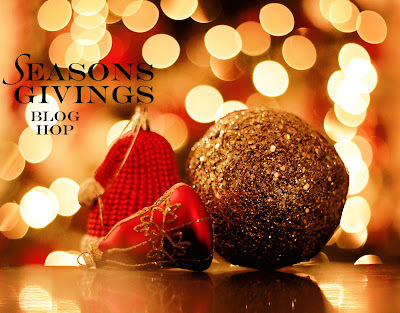 MossyMade: Season's Givings Blog Hop Giveaway Winner! 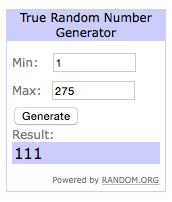 Season's Givings Blog Hop Giveaway Winner! Sorry for the delay but today is the first normal day after returning from CHA. We had a fabulous time as always working in the Lawn Fawn booth and seeing all our friends again. Even though it is a lot of work to put up and work at a booth at the show it is still fun to us because we get to spend time with friends. Anyway, on to business. I read all your comments left on my hop post, looks like many of you have gone through a lot this past year. Some of you had me in tears, I seriously wished I had prizes to give to everyone. But there can only be one winner this time around. After deleting all the duplicate comments (because I wanted to keep things fair) I had a grand total of 275 comments. Thank you for all the love! Tinalala, please email me with your shipping information. You can find my contact info HERE. Thank you again to all who left comments and participated in the Season's Givings Blog Hop and big thanks to Latisha for organizing as always. So EXCITED!! Thank you so much! Hooray!! You live in North Carolina just like me! That is so cool because I just got into stamping and the first stamps I bought are two Lawn Fawn products! I can't wait to see what new things you guys will create!